Successfully Added 10.1 Inch IPS Monitor - 1280x800, HDMI, VGA, AV, Built-in Speakers, 16:9 Aspect Ratio to your Shopping Cart. Have a high quality screen at your service any time you need it. 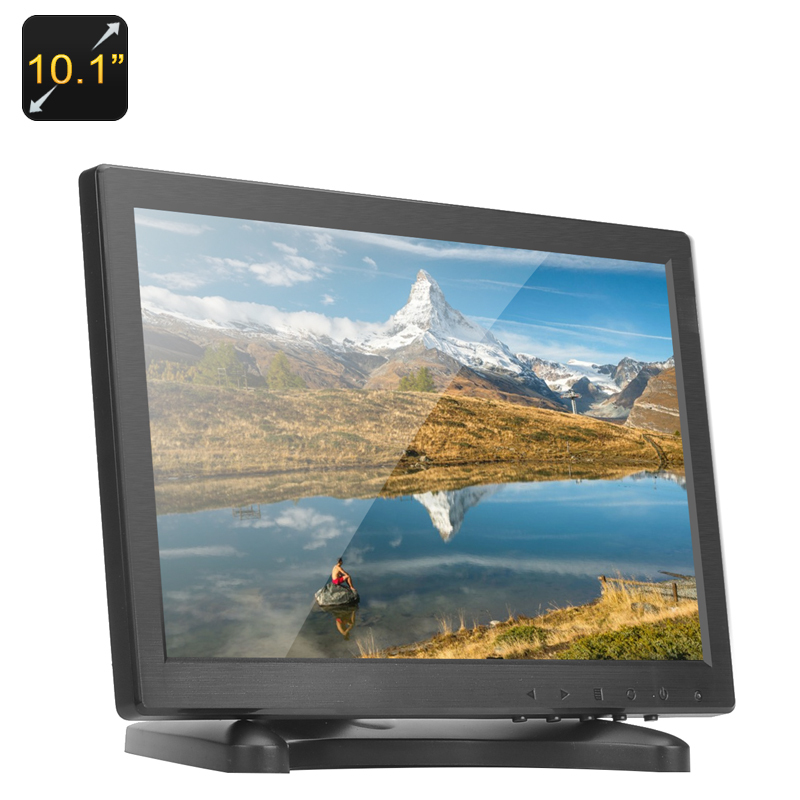 This 10.1 inch screen comes with BNC and HDMI inputs and has a wide range of applications: CCTV, photo, video playback and more. This 10.1 inch screen has an impressive 1280x800 resolution and can be used in a variety of ways. You can always have a screen on the go for watching movies, going through photos and more. The high resolution and IPS technology used in the screen will make sure that you will be looking at all your content in great quality - with videos being clear and images crisp. With a backlight LED, you will also be able to get a bright picture no matter what the lighting conditions are so its always easy to view. This 10.1 inch IPS screen comes with a BNC input (Bayonet Neill–Concelman) - making it a great addition to your existing security monitoring system or for building a new one from scratch. The monitor comes with a number of video inputs: HDMI, VGA, AV, BNC and USB and supports PAN and NTSC systems, so you can hook it up to your video camera or photography kit when out on a shoot to line up shots and review your footage. With built-in speakers, you will also get great sound quality to accompany the imagery and footage. So, whether you need a portable screen for recreation or as an addition to a security surveillance system, this 10.1 inch display is a great option. The 10.1 Inch IPS Monitor comes with a 12 months warranty, brought to you by the leader in electronic devices as well as wholesale IPS monitors..